Pakistani brands that have stood the test of time. Horlicks’s initial positioning was of a family nourisher. 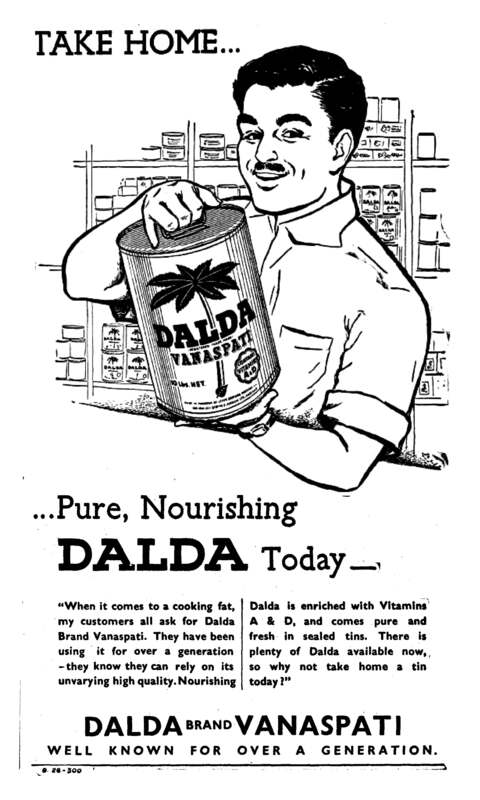 The early ads were about providing daily nourishment to the family and the USP was energy. Later, Horlicks began to target children between the ages of five and 12, moving away from specifically focusing on energy to addressing children’s growth needs. According to clinically-proven studies, milk alone is not sufficient to meet these needs, although in Pakistan, milk is considered to be the gold standard for nutrition. Our positioning changed to: children need added nutrients in different amounts and when it comes to specific aspects – making a child grow in height, stronger (muscle strength) and sharper (mental alertness), Horlicks is the drink to add to milk. Over the years, we refined our strategy; we had to be more targeted in reaching out to mums because a lot of brands had jumped on the nutrition and nourishment bandwagon. Biscuit brands are telling mothers they provide energy and other add-ons to milk (such as syrups) to make the milk taste better and give their child added energy. Children do not make the buying decision; that is the mother’s role. So we have a primary (children) and a secondary (mothers) audience. We reach mothers through various platforms, and because TV is becoming more and more cluttered, we are focusing our efforts online. We know mothers go online to look up nutritional needs or chat with other mothers. We started in print only, then slowly moved to TV and radio; now we have moved to digital. In terms of the media mix, TV at one point accounted for about 60% of our spend, but since last year, this has declined. We recently launched a new product called Horlicks Growth Plus. So far, Horlicks has been confined to the health food category but we are now moving into the nutritional supplement category, which is where Growth Plus comes in. Sadia Nasir is Director Brands, GSK Consumer Healthcare. HBL was the first commercial bank to be established for the Muslims of the subcontinent in 1941. As the bank evolved with the nation, so did the brand and its communication. At the time of its inception and soon independence, HBL’s communication focused on introducing the benefits of banking to the public. The communication was aimed at promoting its product suite in line with the economic needs of the time. The idea behind building the brand was introduced in the 1970s when HBL Plaza was built as the tallest building in Pakistan and in South Asia. The Plaza was inaugurated to mark the 25th anniversary of the bank and was advertised to enhance brand equity and establish Habib Bank as the industry leader. When the bank was acquired by the Aga Khan Fund for Economic Development in 2004, a conscious effort was made to differentiate the brand and lead from the front. The brand name was changed from Habib Bank to HBL. Investment behind building brand equity became the priority. The phrase ‘Jahan Khwab, Wahan HBL’ was coined to reflect the brand promise of enabling dreams. Over the last 10 years, HBL launched a series of corporate campaigns, which helped it gain the highest brand equity score in the industry, and made it a household name in Pakistan. HBL has positioned itself as an organisation that aims to better the lives of its customers. HBL’s communication delivers a message of financial inclusion and enabling dreams. In 2015, HBL launched a campaign featuring Samina Baig, Pakistan’s first woman to climb Everest and seven of the world’s highest peaks. Its subsequent corporate campaign featured Rosheen Khan, a woman who pushed the limits to achieve her dream of becoming Pakistan’s first female scuba diving instructor. As a bank that has always been linked to the history of Pakistan, HBL partnered with Dawn to launch a campaign celebrating the dreamers of Pakistan and commemorate the 70th anniversary of the country. The ‘Ek Khwab Kay Naam’ print campaign pays tribute to our nation by identifying all those dreamers who have made Pakistan a thriving country. Naveed Ashgar is Chief Marketing Officer, HBL. Dettol is a trusted household name in Pakistan, thanks to a long history of providing germ protection to consumers. Originally launched as an antiseptic, the brand has evolved while remaining true to its core essence. Up until the late nineties, Dettol was primarily a pharma brand; Dettol soap accounted for about two percent of the market share in the category, while Antiseptic Liquid (ASL) became a part of the first-aid box in the majority of Pakistani households and institutions. In the early 2000s, the brand launched a range of soap variants, based on consumer needs. These included new variants in the Freshness and Skin Care platforms. In the last two decades, Pakistan has become one of the biggest anti-bacterial soap markets in the world in terms of market share, with three major global players competing in the segment. In such a highly contested category, Dettol has grown steadily and according to Nielsen, holds a double-digit market share in urban Pakistan. In the last 10 years, the brand has extended into Multi-Surface Cleaners, Hand Sanitisers and Cleansing Wipes, providing consumers access to germ-protection solutions across multiple categories. Today, Dettol is playing an active role in creating awareness about better hygiene practices. Dettol’s School Programme reaches 2.5 million children nationally, who are taught hand-hygiene practices through edutainment and live demos. Given the lack of antenatal education in Pakistan, Dettol has recently started an Antenatal Programme based on international guidelines and offers free antenatal classes to women in their third trimester around four key modules that cover topics such as pregnancy, labour, post-pregnancy and baby care. The aim now is to make it bigger year-on-year as we join hands with more hospitals. Salman Taufiq is Marketing Manager, Germ Protection & Personal Care, Reckitt Benckiser Pakistan. In ancient times, cats were worshipped as gods; they have not forgotten this – wrote the ever quotable Terry Pratchett. This may be true for some older brands as well. In this context, the brand that comes to mind is Tibet, a 40-year-old brand, famous for making Tibet Snow cream; the beauty cream of the east. 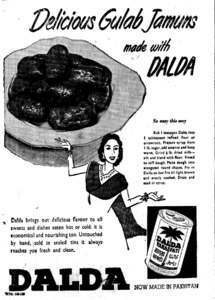 Tibet’s earliest ads had the actress Sabiha as brand ambassador. In terms of TV commercials, they featured white Caucasian models on speed boats singing of the joys of using Tibet Soap. Tibet was a household name then and your mom or grandmother may well have used them. However, like the cats, Tibet has not forgotten its legacy and somehow the brand has become stuck in time. There have been attempts over the past few years to come out with new SKUs, packaging and fragrances and this makes me happy; I am a staunch supporter of all brands Pakistani. The attempts at humour with comedian Danish Ali and the fruity soap, showing a constantly hungry guy, are good and brave attempts by a brand that refuses to forget its legacy. Clearly the brand wants to evolve but is it evolving fast enough? The logo has not, and even with some fantastic storytelling (the freshman ad), the brand feels dated. There are lessons in the constant engaging with new audiences that we see among legacy brands such as Lux, Shell and Levis. Other brands, such as Rooh Afza, have also been victims of the cat mentality and new players like Jam-e-Shirin are surpassing Rooh Afza and Nauras, who are stuck as seasonal Ramzan brands. Atiya Zaidi is Executive Creative Director, Synergy Dentsu. Everything began in 1906, when a red syrup was introduced by a small matab in India. After Partition, this refreshing syrup was launched in Pakistan by Hamdard. The advertising campaigns of the first two decades were based on functionality, taste, colour and being the drink of the East. The brand was promoted with captions such as ‘Splendour of the East’ and ‘Knowledge and Wisdom’ (due to its rich history). In the early eighties, Rooh Afza positioned itself as a pioneer, with the caption ‘Every New Syrup Is Red but Every Red Syrup Is Not Rooh Afza’. In this way, Rooh Afza became the pioneer of the red syrup category in Pakistan and paved the way for many other ‘me too’ products. Every Pakistani child has gone through the drill, but have you ever wondered, how did we go from merely buffing our shoes with a cloth to using shoe polish? Cherry Blossom had a lot to do with the transition. In the early sixties, Cherry Blossom was one of the most aggressive and engaging advertisers across mediums. The print ads showed a man who caught everyone’s attention by his polished look, obviously a result of his impeccably polished shoes. Taglines such as: ‘Of course he uses Cherry Blossom Boot Polish’, drove the message home. Targeting the right audience with the right message is another aspect to success. An advertisement a few decades later showed a young girl whose shoes not only shined throughout the day, they also benefitted from longer life. Here, Cherry Blossom draws on a mother’s love for her child, with a clear message: Cherry understands the activities a child does during the day and is there to help mom keep her child’s shoes shiny; it also protects the shoes. Having established the brand promise of shiny shoes, Cherry Blossom then focused on the ancillary but important set of benefits it provides. Subsequent campaigns focused on the top reasons to use Cherry Blossom. Through campaign evolution, Cherry Blossom established its equity. Cherry Blossom then shifted the focus to achieving maximum reach and in-store execution. Moving forward, Cherry Blossom will yet again need to reinvent itself to remain relevant. This is how it has remained successful for over five decades. Marketing is about deciding which combination of tools is going to win over consumers and keep them riveted to the brand promise. Cherry Blossom remains focused on predicting the evolving needs of the consumer and then tailoring its strategy accordingly. Itrah Sohail is a management trainee at Reckitt Benckiser Pakistan. Lux has been in Pakistan for over 50 years. Unlike many brands, Lux’s positioning has not changed significantly; the target audience has remained young women. Lux uses star appeal to drive the brand message. Over the last 40 to 50 years, top actresses, in Pakistan and across Asia, have endorsed Lux. An important reason for choosing film stars is the mass appeal they draw among audiences. Only in recent years has Lux included women in its advertising who do not belong to the TV or film industry. From a category perspective, Lux has been the market leader. In the early years, the focus was on driving usership (in those days, consumers did not use soap regularly). If you look at the earlier advertising, it almost seems as if they are trying to justify the use of soap; it is not about switching. Later, the communication moved away from the awareness aspect and the emphasis goes on making Lux the top choice. From the task of category creation and encouraging women to use soap, the brand takes on an aspirational positioning to ensure brand loyalty. Coloured soaps were introduced about 15 years ago; before that, they came in white only. Typically, once a category becomes larger, the need to differentiate arises and this is often done through colours. As the market leader, Lux has the responsibility of driving category upgrades and for the last two years, we have been working on converting consumers to liquid soap. Our media mix is driven by what our consumers choose. Earlier, print was the only medium; this was followed by cinema, then TV and in between radio and OOH. Now, over the last four to five years, digital has overtaken all other media except TV. Our priority in terms of share of ad spend is TV, followed by digital, OOH and finally print – the latter only for the Lux Style Awards. Raheel Pasha Khan is Marketing Director, Personal Care, Unilever. Berger Paints have been in Pakistan for 70 years. Their branding has gone from a basic to a stylised representation of the modern homemaker’s dream. The theme has always been the product benefit. It is the way this is communicated that has changed. In the fifties, there was something innocent about Berger’s ads. Focused on the benefits of using the paint, there is naiveté in the messaging. It is simple and straightforward; there is no spin. An explanation of what the paint does, with simple illustrations delivers the point. The sixties saw the introduction of the ‘Robbialac Look’. It was about having a freshly-painted look throughout the year and the availability of a wide range of colours. The illustrations became better, the copy got a bit creative. In the seventies, the illustrations were replaced by photographs. The headline stated the problem, and the body copy gave the solution. Every ad illustrated a new USP – appealing to the rational mind of the consumer rather than the emotional side. In the eighties, graphics were introduced. The message was that Berger was a global brand offering high-quality paint. The nineties focused on health. Lead-free paints were introduced and the copy emphasised benefits of these paints. The brand was evolving but not connecting. Human emotion was missing. This has changed. Berger now engages with young homemakers for whom paint is as important as their furniture. Berger took a huge leap by focusing on a younger target group. A celebrity endorsement has been introduced with Mehwish Hayat, because celebrities inspire people to be like them. From a rational, somewhat distant brand, Berger has evolved into an emotional, connected and iconic brand. From selling paints to selling lifestyles, the brand has left a footprint in every household. Sarah K. Yaldram is Creative Director, Firebolt63. Pakola was launched on August 14, 1950 and instantly became Pakistan’s favourite drink. How could it not? Here was a drink with a formulation that made it green! Mehran Bottlers have a strong vision for Pakola; they understand the love Pakistanis have for the brand. Pakola has become the essence of what defines Pakistan. The satisfying taste drives the loyalty of consumers at home while for Pakistanis abroad, Pakola evokes intense nostalgia whenever they see the brand. Pakola’s vision is to provide our consumers the world over with a variety of premium quality beverages that guarantee satisfaction while refreshing the national spirit. These efforts are indicative of the brand’s progressive attitude and a determination to continue the journey of being the drink of the people of Pakistan. Saniya Naqvi is Creative Manager, RG Blue Communications. Over the last 59 years, UBL has come to be acknowledged as a progressive and innovative bank. These two brand identities have seen the bank contribute greatly towards financial inclusion and the economic development of Pakistan. A legacy brand, UBL’s mantra is to provide the best banking services and products. Evident from its first print advertisement in 1959, UBL’s customer communication has focused on the bank’s reliability, efficiency, customer centricity and wide presence in and out of Pakistan. In the initial decades, the bank styled itself as ‘The Progressive Bank’. This was in keeping with a series of firsts the bank ushered in Pakistan’s banking landscape. As UBL expanded its footprint outside Pakistan, ‘The International Bank’ tagline highlighted the aspiration to be a world-class bank. The branch network advertisement printed in 1976 establishes the might of UBL with a daunting domestic as well as international presence – an institution that ‘helps you to stay ahead’. Imagery has played a crucial role in the evolution of the UBL brand. Whether it’s the image of a computer spool expressing the bank’s innovative outlook, a mother and son photo depicting dependability and trustworthiness, or a hand holding a smartphone, striking images have always ably complimented the Bank’s advertising copy. ‘Where You Come First’, UBL’s current tagline came into force in 2003. The essence behind it is that UBL customers come first, and in every interaction they have with UBL, they must always feel that they are more important than anyone else. Creative messages showcasing UBL’s efforts, be they about financial inclusion, its extensive network of customer touch-points, supporting social causes or reaching out to the next generation – all have one thing in common; UBL is striving towards building a customer-centric brand. The UBL brand is now positioned to leverage the digital future and its advertising on social media bodes well for a future that will see FinTech take centre stage. Ali Habib is Head of Corporate Affairs & Marketing, UBL.